Before he launched into the specifics of LEGO, Robertson quizzed the audience to see what we thought was innovative. 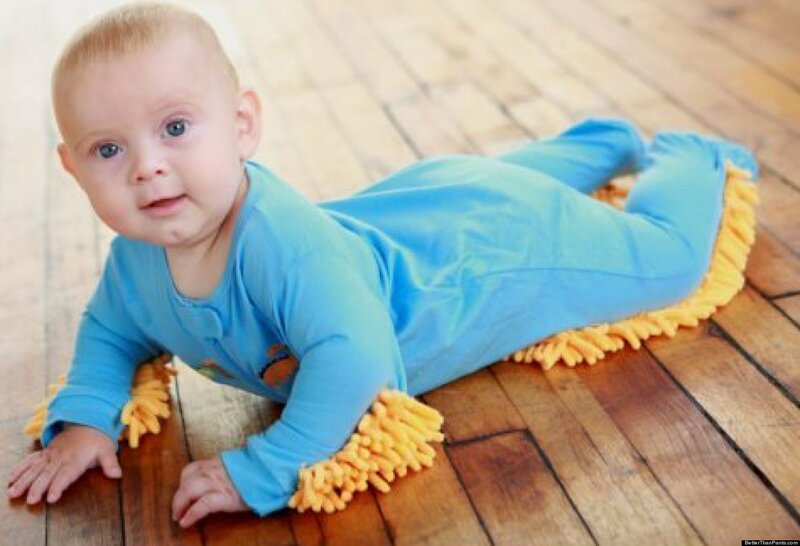 He flipped through a series of slides with various products ranging from iTunes to a onesie for a baby made out of mop material, so the crawling infant will clean the floor. When the audience laughed at the absurdity of the product, Robertson asked what it was that made us universally agree iTunes was innovative, but not the baby mop. “The difference between creativity and innovation is innovation creates value,” Robertson explained. 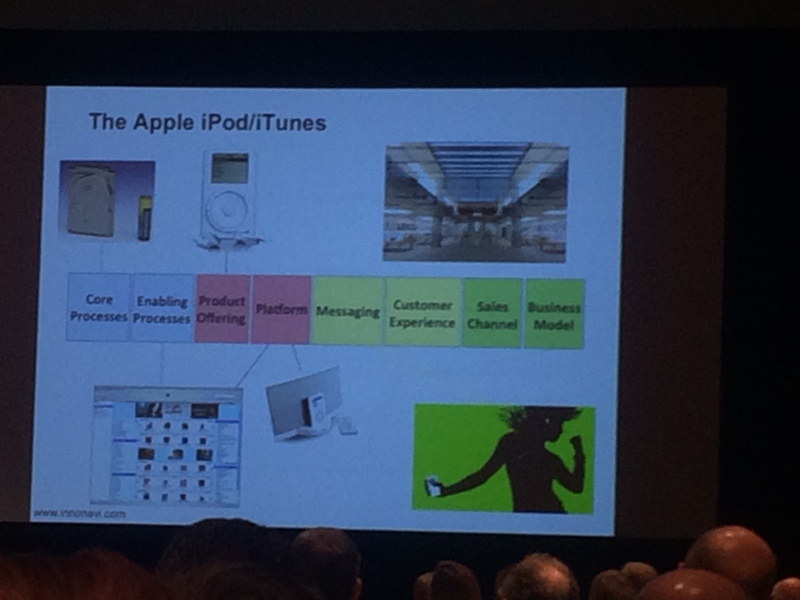 He then pulled up a chart with the eight types of innovation, stylizing like piano keys. “Businesses often just play “middle c” by just improving the products they already have in place. Companies like Apple are not just play keys they’re playing chords— products and services that compliment each other.” Like the way iTunes supports the iPod, etc. “Playing chords” is ultimately what saved LEGO after going nearly bankrupt in 1998. After a series of failed experiments and products, LEGO hit a home run with Bionacle. “Bionacle had a rich back story of villains and bad guys. Kids got involved with the story. They made collectibles.” They made books (which became bestsellers). DC Comics made Bionacle a comic and it was, at the time, their most popular. LEGO sold 190 million Bionacles over the nine years they made him. LEGO has been using that same principal ever since. Most recently, to promote The LEGO Movie, LEGO held a stop motion animation contest, where contestants made a short LEGO film. The winner received a trip to the premiere and a back stage pass. But they also included a series of unannounced contestants bits into the film as well. It made for great viral marketing, customer loyalty, and just all around fun.